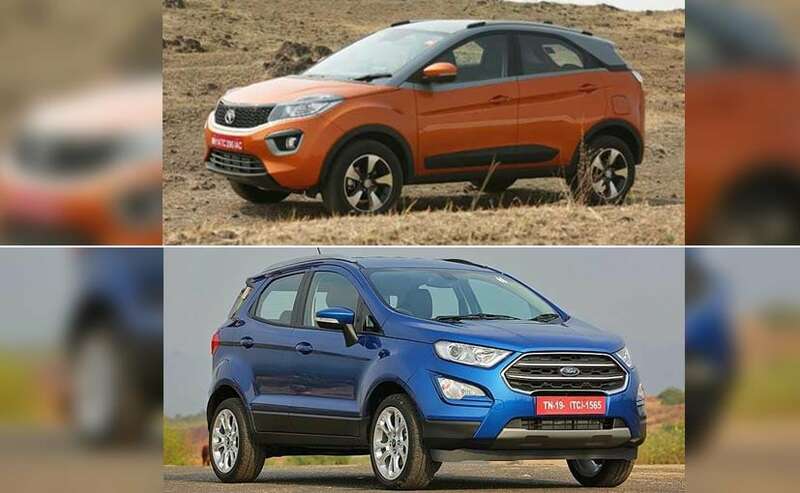 Size And Style Matter; Ford EcoSport AT or Tata Nexon AMT? Looking to buy an automatic subcompact SUV? You have only two options which are the Ford EcoSport AT and the Tata Nexon AMT! Here's our spec comparo. 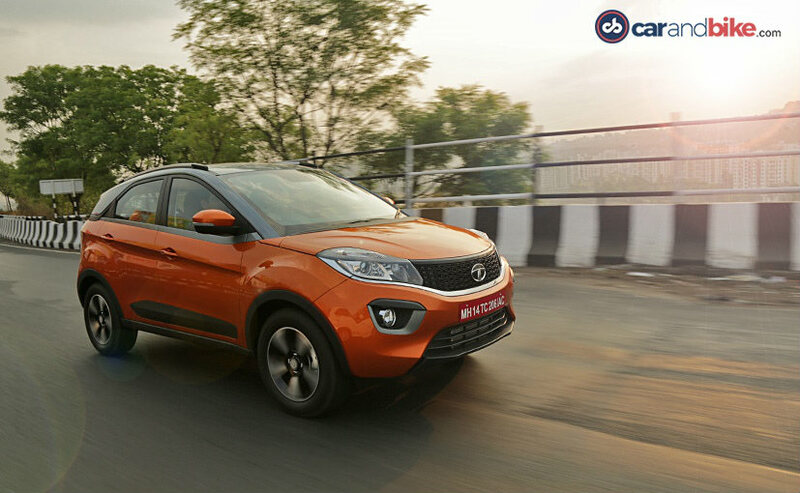 We recently drove the Tata Nexon with an AMT unit. And it sure did leave a positive impression. Now the Nexon is a part of a hotly contested segment where the current king is the Maruti Suzuki Vitara Brezza along with Ford EcoSport which is also a pretty strong player. Apart from the Nexon, only the EcoSport gets an automatic gearbox and that too only for the petrol engine variant. The Vitara Brezza is happily doing great numbers with its 1.3-litre diesel, so we will keep it out of a specifications comparison for now. Left with the new Nexon AMT and the EcoSport Automatic, it would be interesting to see how these two stack up against each other! Here is our on-paper comparison of the two subcompact SUVs. Hmm! A tough one here! The Ford EcoSport has been around for a while now and it actually started off the trend of the subcompact SUVs. So it's been there and done that! 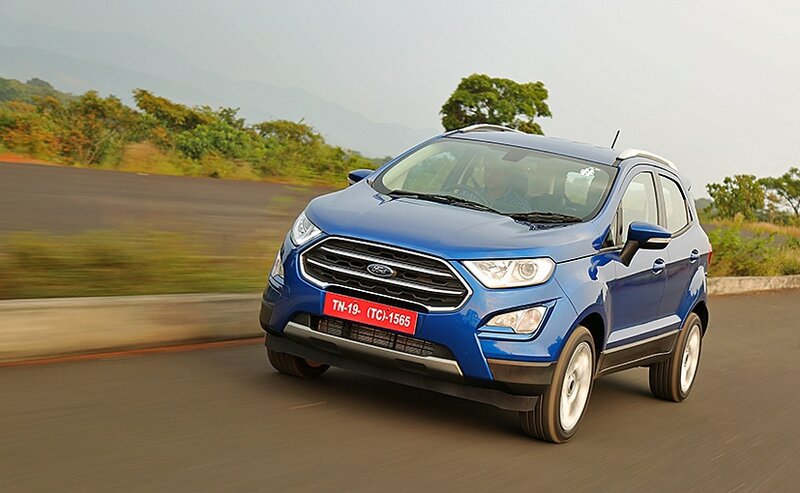 The looks of the EcoSport were getting a bit too long in the tooth and therefore, Ford breathed in a fresh lease of life with the mid-life update on its SUV. The Nexon is the fresher design of the two, no doubt and it looks a tad better as well. 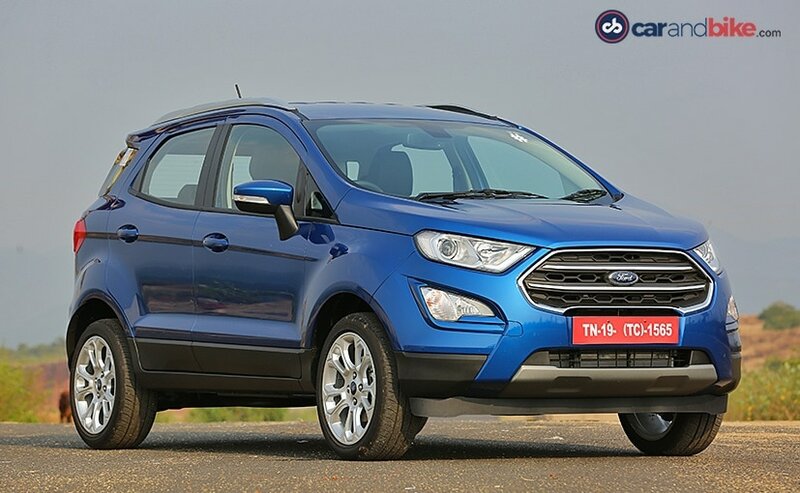 But the EcoSport has more of the SUV stance and design as compared to the Nexon. So yes, the Nexon has a sharper design but the EcoSport looks the part of an SUV more than the Nexon. Also, styling is something which boils down to personal choice. If you prefer your subcompact SUV to look more of an SUV, then it is the EcoSport. Otherwise, if its sheer looks you want, and then it is the Nexon. Preferably in 'Etna Orange'! We just love that colour. As we mentioned in the paragraph before, the EcoSport has more of the SUV look and feel and this kind of reflects in the dimensions as well. The EcoSport is substantially taller and slightly longer than the Nexon. Also, the wheelbase of the EcoSport is 22 mm longer than that of the Nexon. But the Nexon does get an advantage in the ground clearance department by having 9 mm more than the EcoSport. More ground clearance is always welcome in India! Since we are comparing the automatic variants of the EcoSport and the Nexon and the EcoSport does not have an automatic on the diesel, we will focus on comparison on only the petrol variants of both subcompact SUVs. Both engines are 3-cylinder units. While the one on the Ford, displaces 1,497 cc, the Tata displaces 300 cc less at 1,198 cc. The EcoSport also makes almost 13 bhp more than Nexon, but in real world driving, it will hardly prove to be an advantage. In fact, the EcoSport makes 20 Nm less than the Nexon AMT which will matter more when it comes to driving in real-world situations. But, the trump card that Ford has with it is the 6-speed automatic gearbox on the EcoSport feels a lot better than the AMT on the Nexon. The Ford gets a 6-speed torque convertor and if it still had the dual-clutch transmission, boy! The transmission fight would have been over before it began. Ford replaced the dual-clutch unit with the more conventional torque convertor to keep costs in check. And both these automatic transmission units will be any day better than an AMT unit. There! We said it. Oh! And the Ford EcoSport Automatic also gets paddleshifts, which is a miss on the Nexon. A diesel EcoSport Automatic would have spiced up this specifications comparison for sure. Ford offers the 6-speed automatic on the Trend+ and the Titanium+ variant. The Trend+ variant is priced at ₹ 9.55 lakh while the Titanium+ automatic is priced at ₹ 11.20 lakh. 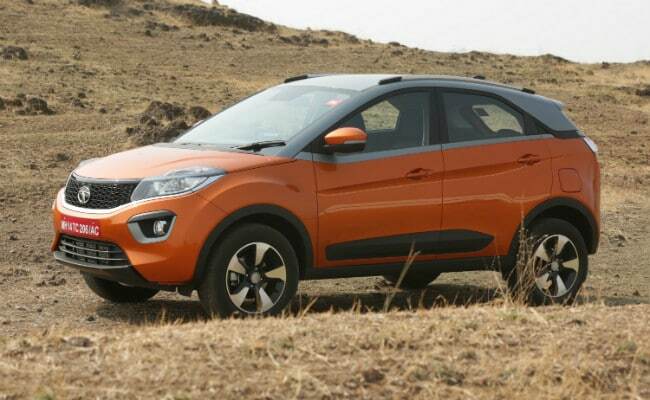 On the other hand, Tata has said that it will be launching the AMT option only on the top XZ+ trim. Still we believe that the pricing will be a little lesser than the EcoSport Titanium+ AT variant's ₹ 11.20 lakh. Well, that mystery will be put to rest soon as Tata plans to launch the Nexon AMT in May 2018, which is next month.